I LOVE scones. I have wonderful memories of my mum making them for us when I was a child. 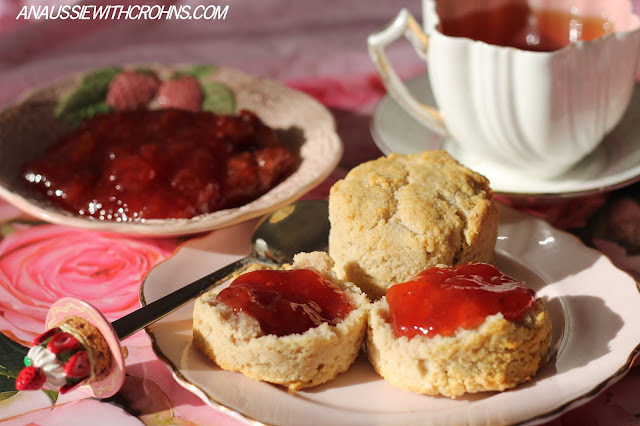 I started with this Basic Scone recipe from Taste and have adapted from there. 1/2 to 3/4 cup almond milk See note below. Mix flour and baking soda together in a bowl. Rub coconut oil into the flour with your fingertips. Sprinkle more almond flour onto a board and lightly knead the dough. It will be wetter and more fragile than traditional scone dough. Use a rolling pin to roll dough to 3-4cm thickness. (about 1 1/2 inches). Use a 5cm scone cutter to cut out rounds from the dough, then re-roll to cut out more from the remaining dough. Place scones on a baking tray which has been covered with baking paper. Lightly beat the egg then use a pastry brush to brush onto tops of scones. Bake in 180 degree Celsius (350F) oven for 15 mins until risen and golden brown. Some people have had difficulty with this recipe. It works perfectly with homemade almond milk made with 1 cup of soaked almonds processed with 2 cups of water, then strained through a nut bag. Other almond milks may be too thin to hold the mixture together. Oh my gosh! I think I love you! 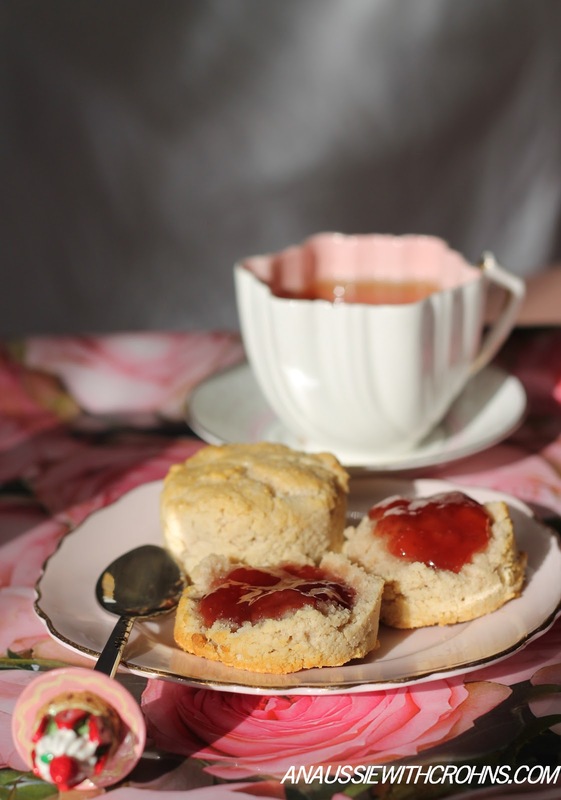 I've been looking for a traditional scone recipe for the last three years; thank you so much. Made them today and they are brilliant! The kids and I loved them. Thanks! Hi Deb, I just came across your website and your recipe for scones. I just finished pulling a batch out of the oven. They are heavenly. Mine seem to a little too moist, they are rather crumbly. I will probably reduce the milk a little next time. THANK YOU! Hi Lyne, so glad you like them and thanks for the feedback. I think I need to post my almond milk recipe as that may be why yours were more moist. I make my almond milk quite rich (1 cup nuts to 2 cups of water). These are fantastic! I love how they've risen! These are just brilliant! I made a batch the day I was shown this page. My kids are in heaven. 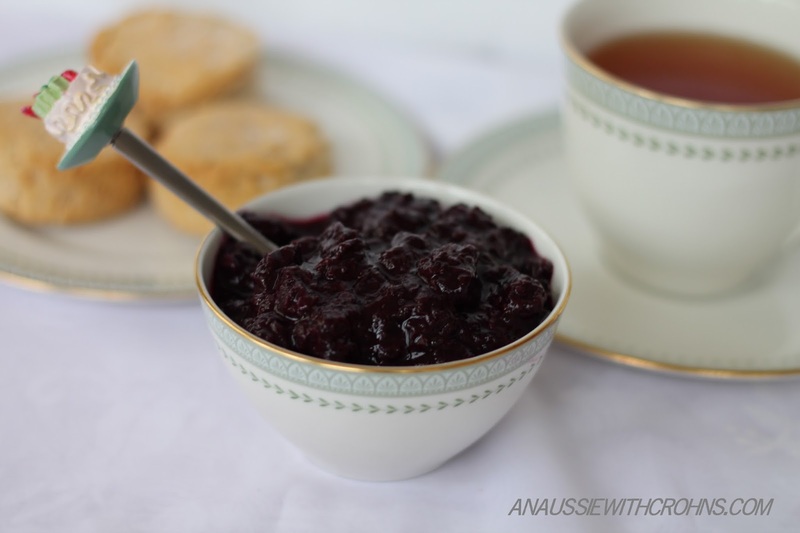 I made some instant jam to go with it and they made me get out the good china so we could have our first *real* afternoon tea since changing to GAPS.